The 3rd Annual Kids Golf Clinic, sponsored by John Hancock, was a great day for all. Over 20 kids and their families, who all have been impacted by cancer, attended the golf workshop and enjoyed a fun filled day full of activities out on the course. Jim Tennant, PGA professional, and his team alongside John Hancock volunteers led the Kids Golf Clinic teaching the participants golf fundamentals on the putting green and out on the driving range. Each child was able to take home his/her very own putter, courtesy of Callaway, to continue practicing and becoming pros! 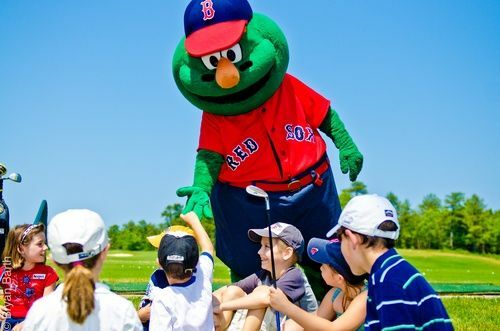 Wally the Green Monster was onsite to encourage the kids and give out many much-deserved high-fives. The Expect Miracles Foundation was honored to have these special kids in attendance. Everyone was impacted and inspired by their presence at the tournament. We hope to be able to host even more families next year!